Let’s face it; we are constantly putting strain on our necks while using our cell phones, typing at our desks, or even reading a book. Your neck is a well-engineered structure of bones, nerves, muscles, ligaments and tendons that can support the full weight of your head; however, repetitive postures overtime can cause neck strain. Thankfully, stretching our neck muscles regularly can help relieve and prevent neck pain. 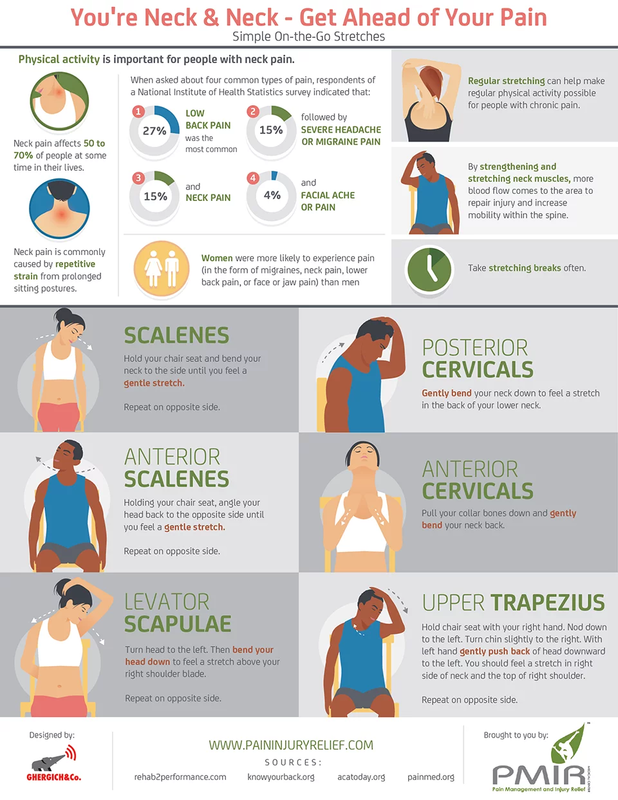 Check out the infographic below to learn some simple, effective stretches to put your neck pain at ease.